This project from Martha Stewart is perfect for fall. I love that it lets you teach your kids the alphabet while encouraging them to be creative and imaginative with the leaf shapes. 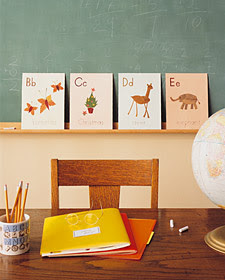 Try splitting this activity into two days: Day One - find leaves, Day Two - create the alphabet leaf cards.